FREE delivery to United Kingdom in 6 - 9 working days. Conceived during the design process for MENU’s new creative destination Menu Space located in Copenhagen’s thriving Nordhavn (Northern Harbour) area, the Harbour Chair is the result of fulfilling a variety of needs (among others) comfortable versatility. 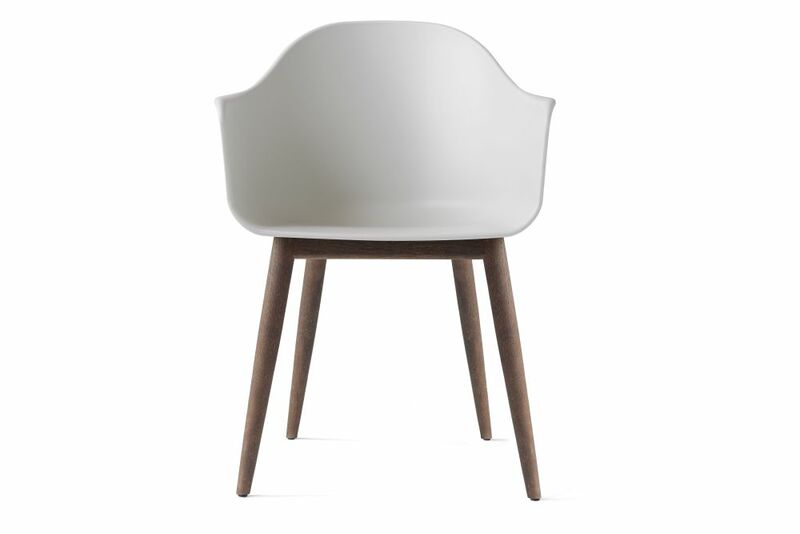 Designed specifically for Menu Space, the dining chair is ideal for anything from restaurants, conferences, offices, or in the comfort of one’s own home. A hybrid space that mixes office, showroom, café, co-working and event space in One, Menu Space required a chair that could suit a range of purposes. Finding a perfect balance between geometry and organic shapes, the shell’s armrests bend outwards for maximum support, as does its high backrest, providing not only comfort, but also an elegant and slim appearance that will appeal to any discerning design aficionado. The pursuit of purity, simplicity and timelessness is at the heart of everything undertaken by Norm. Menu’s philosophy is simple. We want to make the world better, less complicated, a little bit nicer to wake up to. Collaborating with super-talented designers, we make objects to be treasured now… and forever.